Morphine is in a class of drugs called narcotic analgesics. It is used to treat moderate-to-severe pain. Morphine, the principal active agent in opium, is a powerful opioid analgesic drug. Like other opiates, morphine acts directly on the central nervous system (CNS) to relieve pain, and at synapses of the arcuate nucleus, in particular. Morphine was first isolated in 1804 by the German pharmacist Friedrich Wilhelm Adam Sertürner, who named it "morphium" after Morpheus, the Greek god of dreams. But it was not until the development of the hypodermic needle (1853) that its use spread. It was used for pain relief, and as a "cure" for opium and alcohol addiction. Its extensive use during the American Civil War resulted in over 400,000 sufferers from the "soldier's disease" (addiction), though some believe this to be erroneous. 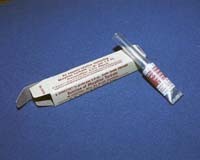 Heroin (diacetylmorphine) was derived from morphine in 1874. As with other drugs, its possession without a prescription was criminalized in the US by the Harrison Narcotics Tax Act of 1914. Morphine is usually highly addictive when compared to other substances. Tolerance as well as physical and psychological dependence develops quickly in Morphine users. Patients on morphine often report insomnia and nightmares. Withdrawal from morphine causes nausea, tearing, yawning, chills, and sweating lasting up to three days. Morphine crosses the placental barrier, and babies born to morphine-using mothers go through withdrawal. Today morphine is used medicinally for severe pain, cough suppression, and sometimes before surgery. It is seldom used illicitly except by doctors and other medical personnel who have access to the drug. It is injected, taken orally or inhaled, or taken through rectal suppositories. Side effects of Morphine include impairment of mental performance, euphoria, drowsiness, lethargy, and blurred vision. It also decreases hunger, inhibits the cough reflex, and produces constipation. Symptoms of a morphine overdose include slow breathing, seizures, dizziness, weakness, loss of consciousness, coma, confusion, tiredness, cold and clammy skin, and small pupils.